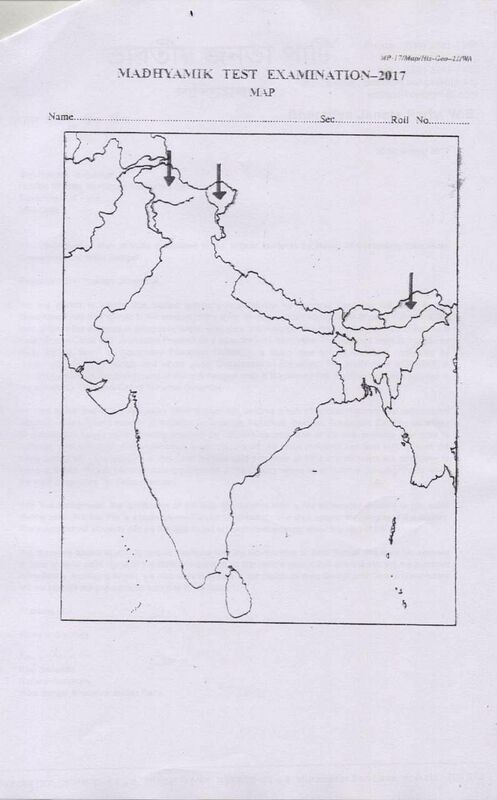 The maps distributed maps during school examination that showed some portions of Kashmir and Arunachal Pradesh as parts of Pakistan and China respectively. 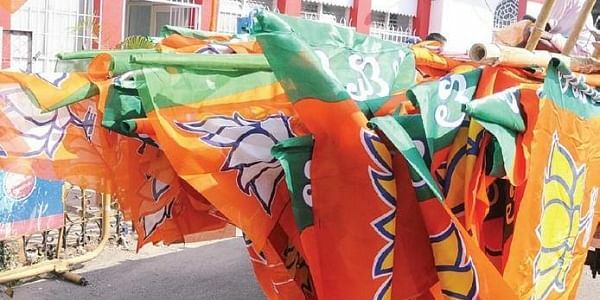 File Image of BJP flags for representational purposes. KOLKATA: Were class X students of West Bengal given maps of India showing Pakistan-occupied Kashmir (PoK), Aksai Chin and Arunachal Pradesh outside its boundaries? The West Bengal unit of the BJP says the state’s Board of Secondary Education (WBBSE) issued such distorted maps in the Class X exams. In a strongly worded letter to Union human resource development minister Prakash Javadekar, West Bengal BJP general secretary Raju Banerjee says the maps bear the water mark of WBBSE, a board run by members nominated by the West Bengal government. The board works under the state’s Department of Education. The BJP said the Teachers Cell of the Trinamool Congress distributed the errant maps. West Bengal’s education minister Partha Chatterjee said this is a conspiracy by the BJP to embarrass the government of Mamata Banerjee. He said WBBSE would be prodded to file a police complaint on the incident and bring the BJP leader making such allegations under the ambit of inquiry,” he said.